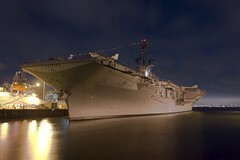 Paul Wieloszynski NA4ZI alerted us to the Museum Ships Weekend Event taking place today from 0000Z June 1 through 2359Z June 2, 2013. Stations that worked at least 15 of the participating ships will be eligible to receive a certificate. More information is on the Battleship New Jersey Amateur Radio Station web site. Ed Thompson WB4ZCQ became a silent key on Tuesday, May 28th. Visitation with the family will be on Thursday, May 30th between 3:00 PM and 7:00 PM and the funeral will be held on Friday, May 31th, 9:30 AM at the Chapel of Spring Hill Funeral Home. In lieu of flowers, the family asks for donations to be made to Alive Hospice or the Church of Christ Disaster Relief Organization. NORMANDY, Tenn. – Interest in gun training classes has never been higher in some parts of Middle Tennessee. In fact, it’s so high for one Bedford County training group that it held its first gun safety class for women only. Defensive Consulting Group offered the class this Mother’s Day weekend because its owners said sometimes women tell them they’re not as comfortable taking the class around men, and they wanted to make sure their students learn gun safety skills in as comfortable environment as possible. It’s an 8 hour class consisting of both classroom and shooting range exercises. Participants said gun safety is more important now than ever before. “If you’re a woman, and you go shopping and you go to a grocery store or parking garage or you go to a mall, you need to know how to protect yourself, said Donna Magee, a gun safety course student. Defensive Consulting Group offers classes for everyone in Bedford County, not just for women. Students who take the class must already have their handgun carry permit. Community Service The use of ham radio may actually help to save lives as operators often support the local community with emergency and disaster communications. On a recreational basis, ham radio can help to increase an individual’s self awareness of electronics, the operations of radio and communication. In addition, ham radio is often used to showcase entertainment for listeners and may even help to launch a new career for an amateur. The World Wide Web Ham radio was once confined to an actual radio, but the progression of the world wide web has changed the way that people both listen and communicate via radio. In fact, there are a number of radio stations that actively communicate with listeners online. This activity paved the way for ham radio to reach a broad audience via the internet. Bob KB4PYP would like to have the CW classes on Tuesdays and Thursdays at 7pm and on Saturdays at 9am. On the nights that we have a meeting scheduled the class will start right after the meeting. The first class will be next Tuesday May 7th at 7pm at the Lock Two club house. This will be a great opportunity to learn or improve CW skills. As has happened many times in years past, over 200 Amateur Radio operators participated in communications for the Boston Marathon on Monday, April 15, 2013. Unlike prior challenging situations such as very warm weather for the runners or other weather-related challenges, this year’s marathon will be remembered for the bombings that took place at the finish line. Despite this heinous act, professional first responders, medical volunteers from the American Red Cross that staffed the route, and Amateur Radio operators performed magnificently in the face of adversity. “Within minutes, cell phone systems became overloaded and making phone calls and text messages was difficult. Amateur Radio operators performed communication duties under duress and performed admirably. No Amateur Radio volunteers were injured on the course in this terrible act,” said Steve Schwarm, W3EVE, who is the Amateur Radio Course Communication Coordinator and associated with a consortium of clubs and groups known as Marathon Amateur Radio Communications (MARC). The Nashville Office of Emergency Management still has some space available in the FREE Community Emergency Response Team training which starts this Saturday, May 4th and continues next Saturday May 11th. Class will be held from 8am – 4pm each day at South Police Precinct at 5101 Harding Place. The Community Emergency Response Team (CERT) is a program to train citizens from the community who can work together during large scale disasters to assist their neighborhood and surrounding areas affected. This training program includes classroom lectures and a lot of hands on activities. The training concludes with a simulated disaster situation that the class will need to work through as a team by combining everything they learned in the class. how to organize themselves and collect disaster intelligence to support first responder efforts. We have trained the young and the young at heart, church groups, community groups, businesses, teenage groups and everyone in-between. Space is limited for this next class; to register please email Angela Roscoe (angela.roscoe@nashville.gov) or Heidi Mariscal (heidi.mariscal@nashville.gov) or call 862-8530 to register before Thursday May 2nd. Thank you, and I look forward to seeing you this Saturday!